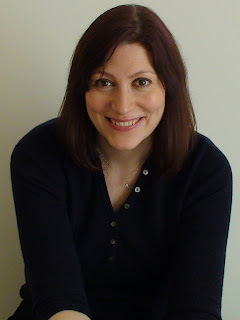 On meeting Natalie Haynes, one of the first things that struck me about her was the speed her brain worked, and for the remaining time I attempted to keep up with her as best I could. This article is a result of half an hour spent in her company, during which my brain was thoroughly exhausted. I want to extend a thank you to Natalie for taking the time to participate in this interview. After completing a degree in Classics at Christ College, Cambridge, Natalie Haynes went on to pursue a career in comedy, having been a member of Cambridge University Footlights Dramatic Club. In addition, she is now a writer, both as a journalist for the Guardian and the Independent and an author of her own books, as well as being a regular contributor for BBC Radio 4. You can see why half an hour spent in her presence would be intellectually stimulating, to say the least. Due to her career in Comedy, Natalie has perhaps a unique view into the art, particularly how the ancient genre has influenced modern. She has a staunch dislike of Menandrian comedy, which, unfortunately for her, has been the main influence for British comedy, which can be seen in Shakespeare and even modern-day sitcoms. Instead, she prefers the provocative nature of Aristophanic comedy, and laments that his offensive comedy hasn’t survived so well as ‘safer’ Menander. When I ask what she thinks the reasons for this are, she proposes that it is to do with what the purpose of comedy has in society. Rather than grotesquery and exaggerated humour, people now potentially look for escapism in comedy, escapism which Menandrian comedy seems to provide. One of the first things that Natalie Haynes mentions when we begin talking is that all Aristophanic comedy is based on a principle of opposition, whether that be old versus young, as in Wasps, human versus animal, as in Birds, or male versus female, as in our play, Lysistrata. This opposition found in comedy can be seen to imitate conflict found in real life, such as gender politics, and so modern productions of ancient plays are an excellent way to display and comment upon such conflicts which exist to this day. 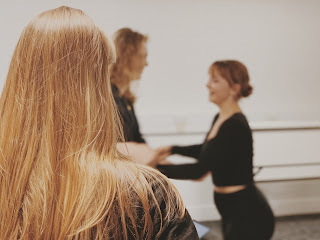 Our production is set in Renaissance England, a pivotal moment for the progression of proto-feminist thought in British history and one which marks the beginning of the disintegration of the opposition and division between the genders. In this way, we are able to connect the gender politics of Aristophanes’ time, where men and women’s roles in society were categorically distinct and divided, through British history to our own world. We have progressed massively from Ancient Athens in terms of gender roles, particularly the role of women in society, however, this play and its themes clearly still strike a chord for us, as this is UCL’s fourth production of it in the last twenty years. Lysistrata’s story of women opposing Athenian men and their sexist attitudes, Natalie says, is not necessarily Aristophanes putting forward a feminist agenda, although many have interpreted it as this. Instead, it is possibly just one of the ways in which he is creating a dichotomy, potentially an absurdist one (as the idea of women being in power would have been laughable for the Greeks), in order to serve a larger purpose of putting forward his agenda concerning the Peloponnesian War, his favourite topic. Indeed, when I asked Natalie if she thought the eponymous Lysistrata was intended to be a comic character, to my dismay she said yes, explaining that although she is taken as a porto-feminist symbol nowadays, it is most likely that she was intended as a comic counterpart to the men in the play. However, she assured me that she is most certainly the hero of the play, but nevertheless is portrayed as pompous, pleased with herself, and therefore, comically flawed. Aristophanes’ plays are never a case of good versus bad, but more one ‘not good’ versus another breed of ‘not good’, with both counterparts being inherently flawed, and a little bit ridiculous. But, just because Aristophanes didn’t intend Lysistrata to be taken seriously, doesn't mean that we cannot do just that - she has since become a feminist symbol of resilience and political activism. When we hear her speech comparing the city to a skein of wool, and describing how she will purify Athens with the same techqnies used to spin said wool, we can interpret a bridging of the gap between the spheres allocated to men and women, and the breaking down of the resulting gender roles. We can be inspired by her rallying of the women of the city, and by her resilience in the face of mockery by the Athenian institutions and their representatives. Indeed, one of the reasons this play has survived so well is because of its adaptability to current gender politics, and the positive message it can be seen to put forward. Natalie makes a connection between Aristophanes’ portrayal of women with that of Euripides, who was infamous for his vengeful and dark female characters, the most famous of which is probably Medea. Greek drama tended to give to women a freedom they did not have in their everyday lives - they are the protagonists of many plays, wreaking havoc on their husbands, families and citizens. One explanation for this presentation is that it acts as a warning to Athens - ‘this is what women will do if they take power for themselves’. However, Natalie says that Aristophanes was a repeated mocker of Euripides and his plays, and so the portrayal of women in his plays, and therefore in Lysistrata, is potentially a jab at Euripides himself, and a parody of his female characters. Indeed, Natalie says that ‘Aristophanes would do anything to get a laugh’. We finish our conversation by talking about the role of comedy in our world, and how Aristophanes can find his place in it. Natalie believes our society is becoming more and more unforgiving, and this is a huge problem with modern comedy - if people, particularly comedians, say something which is viewed as stepping too far over the line of political correctness, their career could potentially be over in a matter of minutes. She herself says that she’d ‘always prefer to be offended than annoyed’. Perhaps in our own way, we can bring the comedy of Aristophanes, along with his lack of political correctness, into British humour, as we mark the importance of Lysistrata with British history, and modern day feminist progress.